Sharon and Dixie are excited to share their journey through the HEAVENS with you. (see ABOUT US) We originally learned astrology because we wanted to know more about ourselves. Knowing who you are from the perspective of your personal astrology chart can help you to build a better life and experience more joy in your everyday world. Your astrology chart is a picture of the HEAVENS at the moment you took your first breath. FEMININE ASTROLOGY is a way of BEING. It can help you to know yourself better by uncovering the bigger picture of your life. You will come to understand the CYCLES that make up your Soul's Journey! You will access more of your natural tools and talents when you discover the gifts, the life path, and the fullness of the REAL YOU! And we mean to make this JOURNEY fun, exciting, comforting, a place where you can come and visit us, a place to rest your weary heart or get inspiration for your next step. Make a new connection to TIME itself as you get into the flow of your personal Soul's Journey. 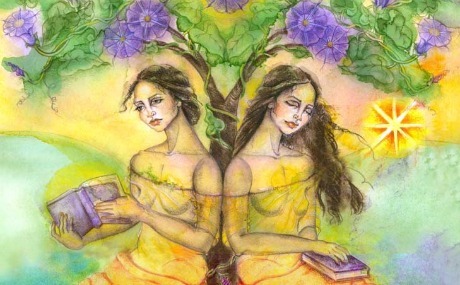 You can set foot on your JOURNEY OF SELF DISCOVERY when you join the SISTARS and their way of FEMININE ASTROLOGY. ...and from me (Dixie). I will share with you the feminine language of astrology. 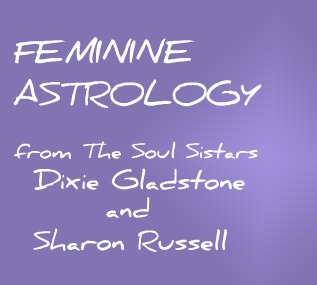 You can get an idea of what that's all about by clicking on FEMININE ASTROLOGY. Click on ART FOR THE SOUL to view or go to LETS SHOP to buy Sharon's paintings of faces of the Goddess in each Zodia Sign. FREE SHIPPING on cards and some items. 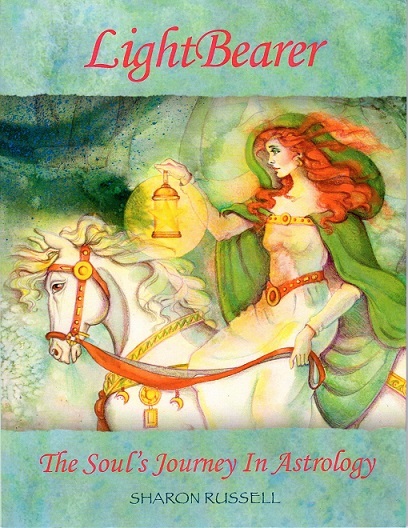 and a good way to begin your JOURNEY to FEMININE ASTROLOGY is with CYCLES OF BECOMING, YOUR 29 YEAR GREAT MOON CYCLE. I will be offering this to you in 2015. You will see that indeed, You DO HAVE A SOUL, and it has a cycle that it wants you to know about! Most astrologers don't introduce you to this vital part of your astrology map because they don't understand how important it is to your understanding that your SOUL has a 29 year path that encompasses the different phases of the moon (like your 29 day menstral cycle, only this cycle is one of your Soul's growth and development throughout a period of 29 YEARS)! This is the feminine cycle of your soul's growth and the implications it has to your life are worth comprehending because it will help you to modulate the life of your BODY as well as your outer life experiences. Sharon and I like to use the analogy of Dorothy and the Wonderful WIZARD of OZ by Frank L. Baum because Dorothy's Journey to Oz and her return home symbolically encompass a 29 YEAR GREAT MOON CYCLE. 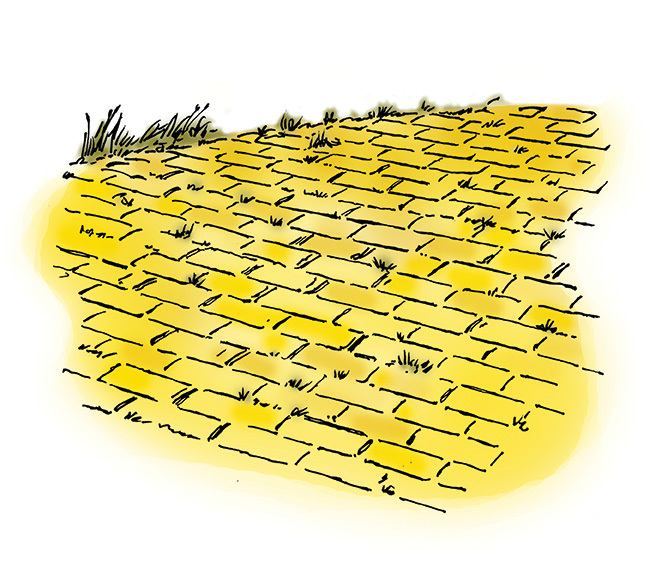 Dorothy journeys from HOME, along her chosen path, the Yellow Brick Road, and returns HOME AGAIN just as you will! 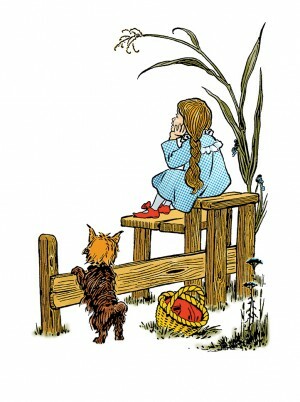 All parts of her magical Journey can help you understand your own soul's journey a little bit better. as well as WHAT you are made of. Are you in a growing phase? life direction? Are you honing and bringing in your harvest? Are you in an ending phase and a need to complete and rest? Where you are on this wheel will help you to manage your life. Here is a picture of "Kuan Yin Meeting Mother Mary." Sharon's cards and giclees are available NOW! 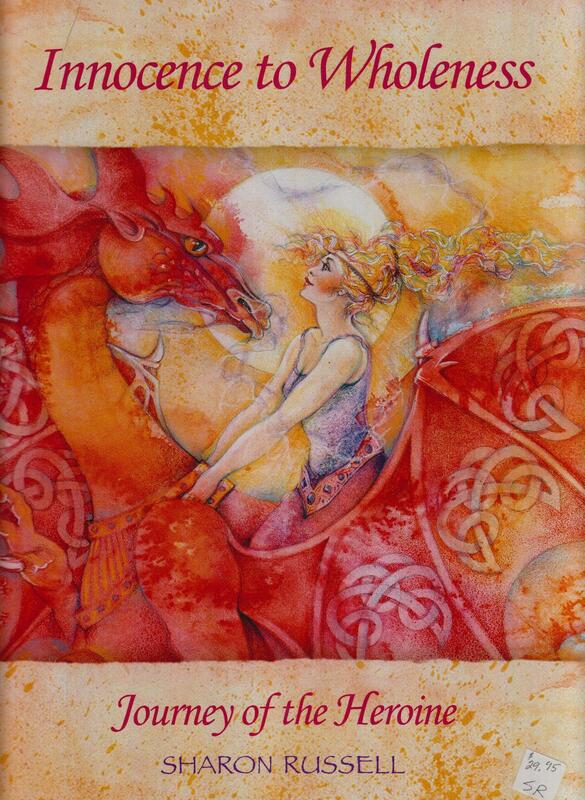 All of her paintings are available in beautifully printed 5 1/2 by 8 1/2 cards, posters, or art giclees. Go to LET'S SHOP to see her current selection. HAVE FUN! My GEMSTONE JEWELRY is available at GRASSROOTS GALLERY, formerly Made in Ojai, same location, behind the arcade in Ojai, California. Sharon and I were raised Catholic but we are really spiritual seekers and lovers of the GREAT MOTHER of All of Us at heart! Kuan Yin and Mother Mary belong to the 12th house in astrology, the place of PISCES, of unconditional love, mercy and compassion. When you step into the world of Feminine Astrology you will be guided gently back to your woman's center. You can become an expert at astrology or you can just come to "Know Thyself" better,... or maybe you will want to hang these feminine images that Sharon has painted for us all over your walls and decorate your home with the ones that speak to you. As you come to know the language of Feminine Astrology you will feel LOVE from the Divine Feminine. You will begin to sense a greater SPIRITUAL BEING behind this outer world. As you re-enchant your life with the knowledge of your true divine nature, a new peacefulness and sense of purpose will naturally follow. You are in for a JOURNEY OF AUTHENTIC SOUL AWAKENING that will take you to places you have never traveled before! You can CHAT with us (Sharon and Dixie) and join with other women as we journey along together making discoveries about a feminine way to envision and live our lives. You are MORE than an outer being with a personality - you are an ETERNAL SOUL and you have many sisters (sistars) who look at life just as you do. As you step into Feminine Astrology you will hear words and phrases that speak to your HEART, the place where all REAL LEARNING takes place. Would you like to hear from Dixie and Sharon? 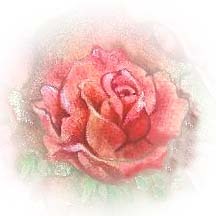 You can sign up for a FREE NEWSLETTER from FEMININE ASTROLOGY which will arrive to your email whenever we have something new to share with you...like important astrological information, new ART from Sharon, new products, or words of comfort.